Not all Salt Lake Property Management companies are created equal. It can be an unscrupulous industry, and even well meaning property managers may simply not have the resources to help you navigate the complex demands of today’s Salt Lake City, Utah rental market. On this page you will find a lot of great resources to help you choose the right Salt Lake Property Management company that will fit your needs and help you accomplish your goals! 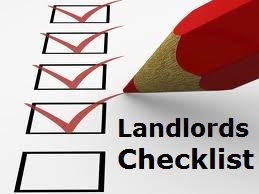 Here is a checklist to help you determine whether a property manager is right for you. Local expertise. Your Salt Lake Property Management company must be a local expert when it comes to market rates in various local neighborhoods, the best advertising outlets in the area and how to make sure you are in compliance with local and state codes and landlord/tenant laws. Fairly priced—with no hidden costs. A discount property manager can cost you when it comes to longer vacancies, more expensive maintenance, legal problems and costly mistakes. Saving a few dollars a month in management fees can sometimes cost you hundreds—even thousands—over the course of the year. The right Salt Lake Property Management company won’t always have the cheapest fees, but will always get you a better return in the long-term. See tips on how to avoid hidden fees charged by property managers. Strong marketing strategy. Ask your Salt Lake Property Management where your rental unit will be advertised, and expect a lengthy answer. In today’s market, faster leasing depends on being everywhere at once—dozens of online listings, local papers and venues, attention-grabbing signs and more should be included for every vacancy, and in place in less than a week. Click to learn how to rent homes faster. Cost-conscious maintenance. Small property management companies often don’t have the clout to demand national discounts from vendors, yet maintenance is a necessary part of management and retail pricing can add up. Your property management company should never pay top dollar, and any savings should be passed on to you. Plus, a professional property manager is always looking for ways to prevent larger maintenance issues, provide cost-effective repairs and keep tenants happy to reduce vacancy rates. 5 Ways to reduce maintenance costs. 24/7 transparent reporting. Will the property manager provide round-the-clock access to reports on accounting, rents, vacancies, inspections and maintenance? Will you have access to photographs and documents online? Like many other industries, property management is now a technology-driven field, and you should expect the information you need—on demand. Fast owner disbursements. How soon will you receive your rent payments? Is direct deposit an option? How do trust accounts work? You should never have to wait 30+ days to receive your rent, electronic options are a must and a fully transparent trust accounting system is essential. Experience in the complexities of property management. Residential property management is a tough industry that requires extensive experience in marketing, leasing, maintenance, collections, evictions, accounting, inspections and legal matters. Many small property management shops simply do not have the resources to give each of these areas the attention needed to maximize your investment and help you avoid costly mistakes. Accounting support. Cleared monthly financial statements, annual tax documentation and centralized accounting for multiple properties should be standard for every client. You should expect your property manager to provide all of the information you need to evaluate your investments—whether you own a single home or a large portfolio of properties—and make tax time easier. Legal and regulatory compliance. Does the property manager have an attorney on staff and a team who is well-versed in the city, county and state codes and laws that impact rental property owners? Are they experienced in collections and eviction law and understand the timelines to ensure your property is ready to re-lease as soon as possible when an eviction is needed? Don’t fall for gimmicks or discount services—a professional property manager has the knowledge, the experience, the technology and the commitment to get you the best return on your investment properties. Contact a representative and learn more about Real Property Management’s competitive pricing. Want to read more about using a property management company? Visit our Education Center here, or our video library!